What is an SD card and How do SD cards works? SD memory cards work by recording data onto a solid-state chip inside the card using flash memory. The flash memory records information when electrical charges change in its circuits. A similar process erases portions of the memory for rewriting. For mobile phones and tablets, the type of memory card you'll need is a microSD. Cards of this type are barely bigger than your fingernail, but can store enormous amounts of data. 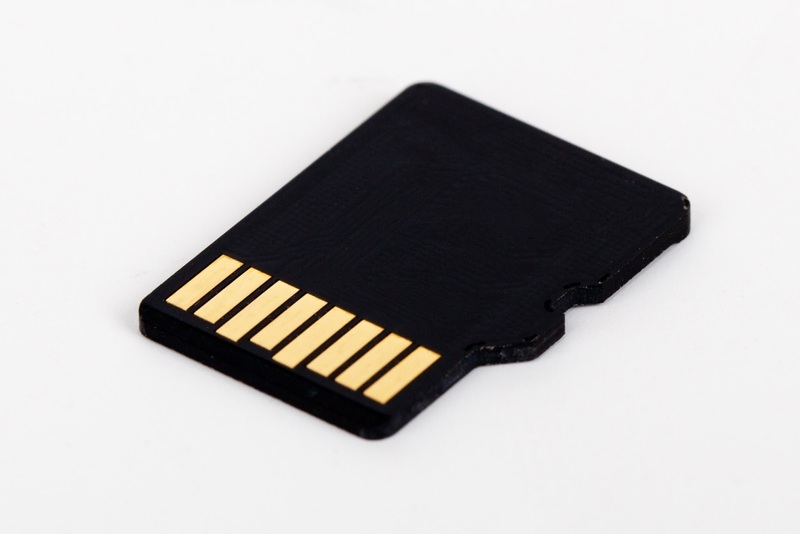 Inside every SD card, rows of tiny memory chips are at work storing all your documents, music, photos and more. And because there are no moving parts, it's all done quickly and effortlessly. This lack of moving parts also means that microSD cards can be pretty durable: many of the current products on the market even claim to be waterproof. Samsung, for example, claims that its microSD cards are safe from all kinds of water damage. The company also claims that the cards can survive being run over by a 1.6 tonne vehicle, or withstand the magnetic forces exerted by a an MRI scanner. As soon as a memory card is plugged into your phone, it gets straight to work. In most cases, your phone will automatically begin to scan the card, pull all the information it needs straight away and file it in the proper place for you. Android phones, for example, will look for any pictures you have stored on the card – no matter what format they're in – and add them to your gallery. If you want to increase your phone's memory or invest in small, secure backup storage, a microSD card should be ideal. However, you do need to be careful when removing your memory card, and ideally you'll only have to remove it when changing phones. When your phone is actively accessing the memory card, everything on it is a little more vulnerable than usual. If the connection is broken, you can end up with only half the file it wanted to transfer – and more often than not, the card won't know how to deal with it. This can lead to your pictures not opening correctly, some of your applications crashing or even just a really sluggish phone. Preferably, you should only remove your memory card only when the phone is switched off completely – but at a stretch, many phones have an 'unmount SD card' option in their settings somewhere, so you can switch them when needed. As time goes on, cards with more and more capacity are coming out – and with mobile cameras increasing in megapixel size and apps and games getting bigger all the time, you really need all the storage you can get. you can easily pick up microSD cards that are up 128GB in size – and some specialist cards are even bigger. SD is an abbreviation for "secure digital." The data on an SD card is stored in a digital format. The solid-state chip inside the card's plastic cover contains many tiny electrical circuits. When the card is not in use, the circuits retain their charges without any additional power. When a card is placed in an activated device, such as a camera or a cellphone, a small electrical current from the device moves electrons in the flash memory chip. The digital patterns stored on the chip correlate to the data stored there. Data is erased when a slightly higher voltage is applied to the circuit. This allows for rewriting. SD cards write and erase memory in blocks or sections. This makes them faster than some other varieties of data storage. SD cards meet legal requirements for storing content with copyright protection. Copyright protected works, such as songs and books, are written with a media identifier code. That code is placed on a protected portion of the solid-state memory. The copyright protected work cannot be copied without access to that media identifier code. This keeps data from being copied multiple times and widely circulated without permission. ||ੴ||ਇੱਕ ਓਅੰਕਾਰ Satnam Shri Waheguru Ji A Web Blog about Product Review, Blogging Tips, Tech Reviews: What is an SD card and How do SD cards works?